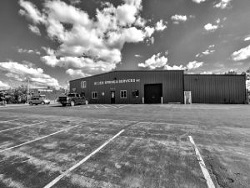 Allied Spring - u bolts, Truck Suspension, Truck Springs, Truck Alignment, Suspension, Steering, Brakes & Alignment Center located in East Syracuse, Rochester, and Elmira NY. Jack and Verna Seguin opened a small spring shop on Burnet Avenue in the heart of Syracuse in 1965. Jack’s reputation for honesty and hard work, along with his experience in managing other spring service operations, helped get the new operation off to a successful start. By 1969, the business had grown prompting a move to larger quarters at Route 290 and Drott Drive in East Syracuse, the current address of the business. Family participation also grew! Jack and Verna’s daughter and son-in-law, Lonnie and Tom LaRochelle, also became owners and continued to grow the business to be a regional leader in heavy duty truck repair. In 2001, Tom and Lonnie also opened a second location in Elmira, NY. In 2014, Lonnie and Tom retired and the company was purchased by two women, Jodie Cresswell and Jeannie Lay of Rochester, NY. In 2016 Allied Spring expanded their parts distribution to Rochester. After just a short few months the need to open its specialty service shop in Rochester was evident. In December of 2016 Allied Spring Rochester moved to its permanent location at 428 Adirondack Street. 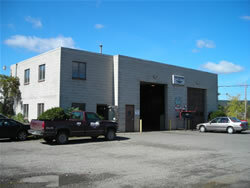 This repair shop and distribution center sits right in the heart of the Mt. Read / Lyell Avenue Industrial center. Today, Allied continues its success, offering a wide range of services. 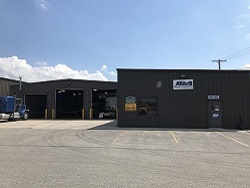 From a frame and wheel alignment center, to a machine shop where heavy-duty power steering axles are bored and sleeved, to the spring and suspension system repairs done in the 12 bays – Allied Spring offers a host of services and parts delivery all over Upstate, NY.